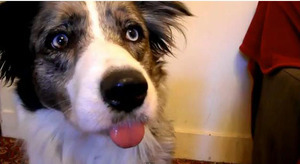 Mabel the Border Collie can stick her tongue out on command. Probably useful if you need some stamps licked. Posted in Misc and tagged dog, tongue at 11:37 am on May 23, 2011 by Susie Phillips.